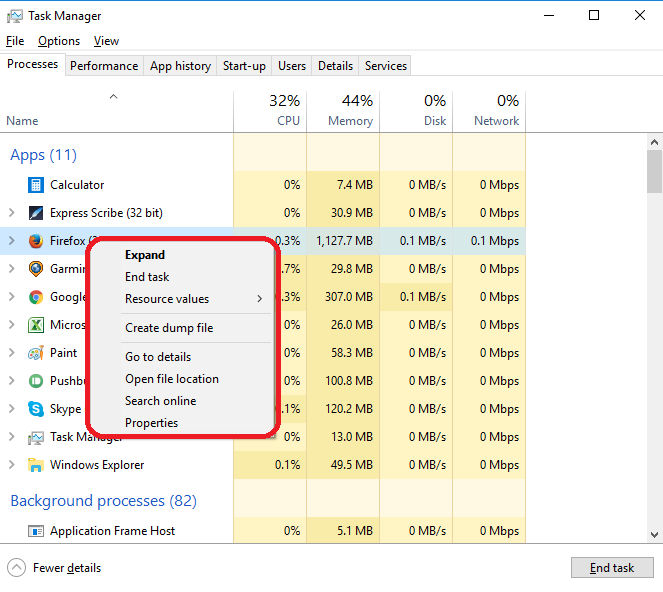 In this article I’m going to explain the basic way to close a piece of software, app or program that is not responding or has frozen, using Task Manager. Images are from Windows 10 and do differ from previous versions, but they all have these particular features and functions. I’m writing this post in preparation for one on reopening programs using Task Manager, coming next week. 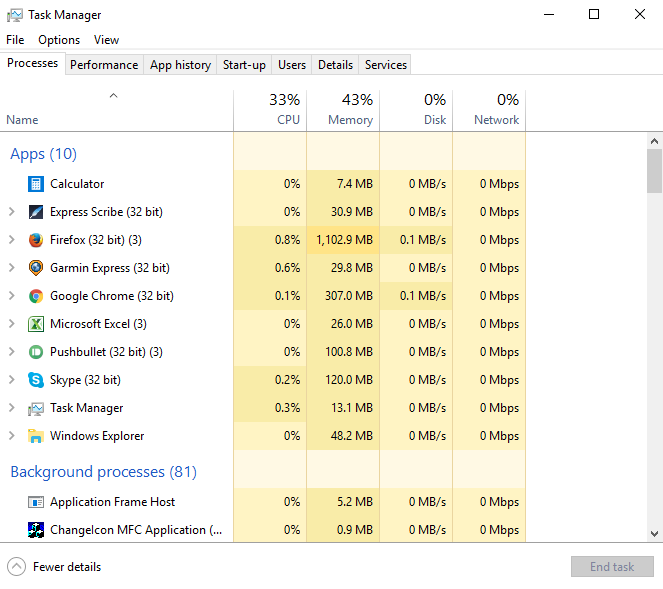 Why do I need to use Task Manager to close a program? Sometimes, with the best will in the world. programs or apps freeze or stop working, and the little X in the top right-hand corner that you use to close it just will not work. If this happens, you need to go to the central program which shows what is running on your computer to force the program to shut down. This is the Task Manager. How do I open Task Manager? 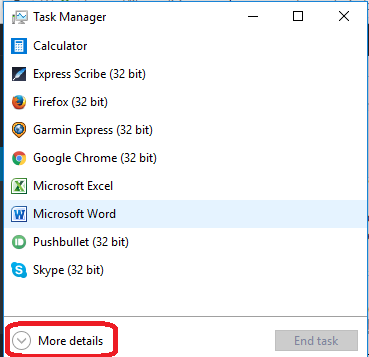 You can use the Windows button or the search bar in Windows 10 to find Task Manager, but I and most people who use it use the keystroke combination control-alt-delete to bring it up. That means pressing and holding down the Control key, the Alt key and the Delete key at the same time. You may then get a menu which offers you Task Manager. This shows you everything that’s open and how much memory etc. it’s using. Although there is a large amount of information here, we’re going to concentrate on closing a program that has got stuck and won’t let you close it in the normal way. How do I close a frozen software application using Task Manager? You can then click the X in the top right-hand side of Task Manager to close it. 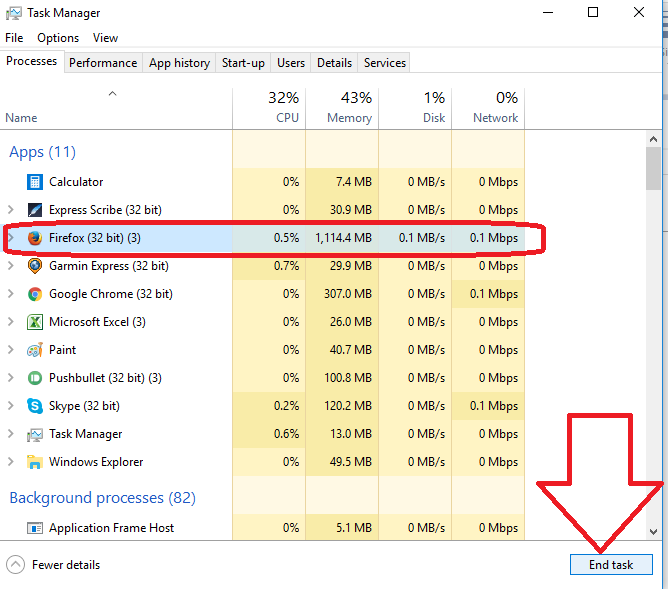 In this article, I’ve explained how to use Task Manager to close a program, software application or app which has frozen and won’t allow you to close it in the standard way. I find that websites and, indeed, some WordPress blogs that have advertising are the main reasons for freezing, while the ad video loads. Unfortunately, closing down Firefox (or whatever browser you use) closes everything you opened with that browser, not just the offending site. But Task Manager is a good thing to know about. (At my former workplace it was known as “Taskmaster” for some reason). Thank you for your comment. I agree, it’s really annoying when it’s just one tab in your browser and it all has to close. But it’s still most often Word for me! Did you ever have a program freeze up on your PC? Here’s a useful post from the libroediting blog to help you use the Task Manager to close it.